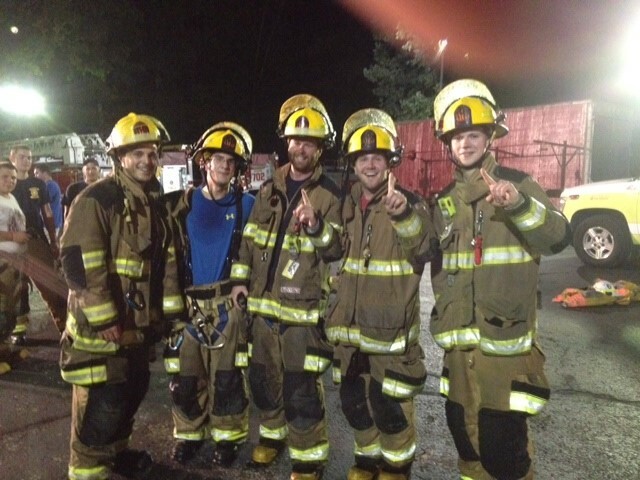 For the second year in a row, the crew from Flourtown Fire Co. took first place in the annual barrel fights hosted by Fort Washington Fire Company. Teams from local companies gathered at the Fort Washington Fire Co.’s training grounds on Monday, August 18th to compete against each other in a “barrel fight”. A “barrel fight” consists of a steel barrel hung on a zip line between two poles, and it is sprayed with water from a fire hose on opposite ends by each team. The team that was able to push the barrel to the other side is the winner. Essentially, it is a fire hose tug-of-war, but with pushing rather than pulling. Way to go Station 6!